So, I promised I would introduce you to some of my new recruits. But before I start, it’s important to say that I am taking my role of official Duck Race Personal Trainer (DRPT) very seriously and have undertaken some serious training of my own. As a DRPT, I now possess the knowledge, skills and abilities necessary to design safe and effective fitness programs for younger ducks. 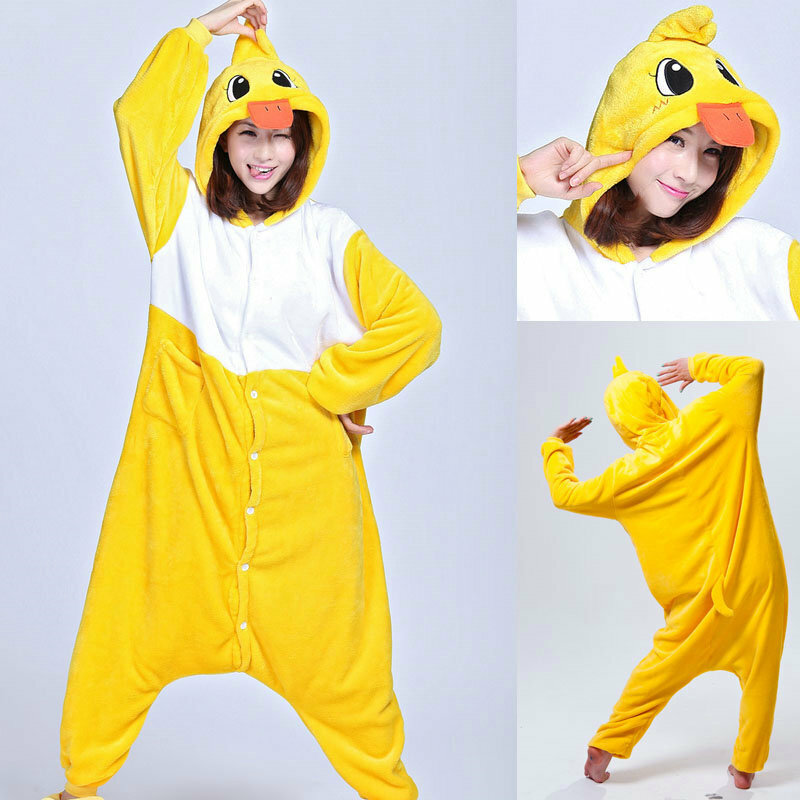 I plan to instruct and assist fellow ducks in reaching personal health and fitness goals. But ultimately, I will help one of them to win the biggest race of their life! So, lets meet the ‘swimmers and paddlers’ in this years’ race. Meet David, he tall for his age and very athletic. He has a near perfect psyche for long distance paddling and to be honest, on the surface he appears to be a bit of a dude. David has always been very focused and he stands out at school for his sporting prowess. But David is painfully shy and finds it hard to talk to people around him preferring hide behind his shades or to lose himself in a long distance swim. So, how did I help him to feel more a part of a team? 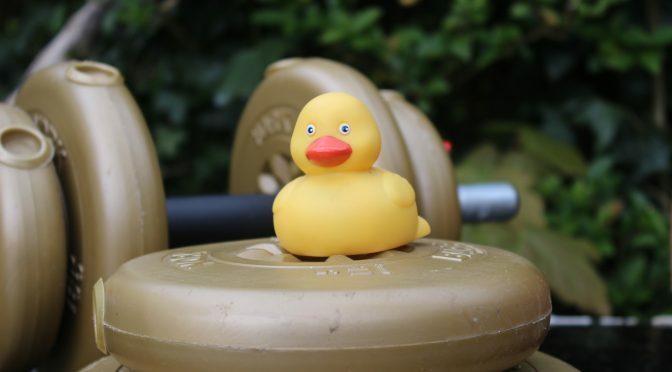 Simple, on David’s behalf, I enlisted a couple of the ducklings to help him with his training regime…. budding chef Jamie took over David’s diet ensuring the right balance of carbs and protein not to mention his 10 a day whilst mathematician Carol got busy with her stop watch timing races, working out PB’s and spurring David on to faster and faster race times. So, come on down and see Team David on Sunday for a really great example of team work in action. 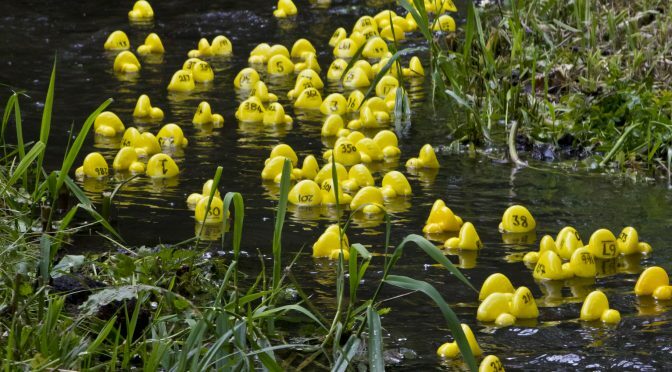 There is only one place to be on Sunday 7th May and that is at the annual Storrington Village Duck Race which promises thrills and spills as the ducks race to glory alongside a great range of entertainment for all. 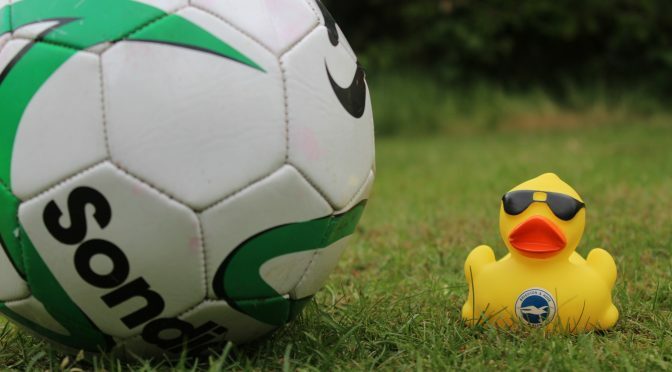 Join us from midday on Sunday 7th May at Riverside Walk and Library Car Park to race ducks and raise money for the Friends of Storrington First School. To add to the fun, there will be fun-fair rides and face-painting, craft stalls, music, ice-cream and cakes plus the ever popular BBQ. All proceeds from the Duck Race will go to Storrington First School to provide and maintain facilities and equipment for the children. And the Car Boot is back! Car boot pitches are £10 each. Set up from 10.30 for a midday start. Limited number of spaces available. Either turn up on the day, or book in advance via foss.school@aol.co.uk. Our star sponsors – Anderson Roundtree Solicitors and Arun Veterinary Group. Hello, Sam the Duck here, I can’t believe it’s only just over a week to go until the Duck Race, how quickly did that year fly by? Anyway, I am back and I am looking forward to seeing you all on Sunday 7th May for the annual Storrington Duck Race. I hear there are some changes this year though. That gives me more of a chance of winning yes? Well actually, no, I decided after last year’s debacle that I would take a back seat this year and rather than being ‘in it to win it’, I will help the youngsters. But before I get ahead of myself, perhaps you don’t know what happened last year. I am sure you will remember that I trained like a dog, or was it like a duck, to be in tip top condition. I learnt how to breathe, I ate well, I stretched, I meditated, I focused and oh boy did I get in the zone….in short, I was totally ready for the big day. So what went so wrong…. With all the training and focus and hard work….. I was so exhausted that I slept through the whole thing! I dreamt that I had won and won big but in truth, I snored my way through the most important day of the year. So this year I have decided to dedicate myself to helping sharing all the things I have learnt to help the youngster paddle to glory. Over the next few days I am going to introduce you to a few of the up and coming ducks who will be competing on the day, perhaps one will take your fancy for a bet? Keep an eye out for them all won’t you! The Village Duck Race would not be possible without our fabulous sponsors. A big THANK YOU to ALL who have sponsored us. They are about to move their Storrington practice to Mill Stream Medical Centre, North Street Car Park. A family run Vet practice providing a personal and professional service to pets and their owners. We would also like to thank Mansell McTaggart Estate Agents for printing all of our fabulous looking programs. You can pick up your free copy in advance at various places in the village e.g. Costa coffee or collect one from the duck selling tent on the day. Sunday 7th May 12 noon to 2.30, Riverside Walk and Library Car Park. You would be Quackers to miss it! 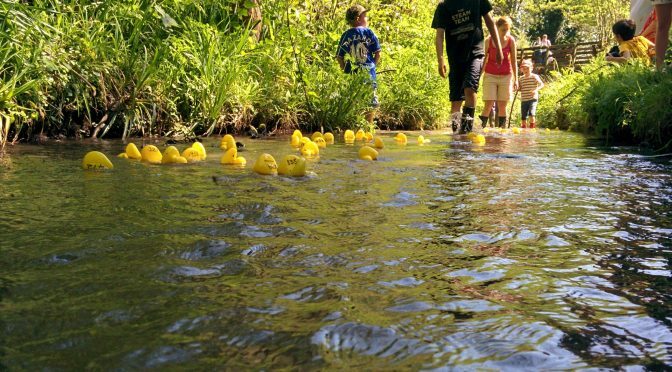 If you are looking for a fun-filled family day out this May, then the annual Storrington Village Duck Race promises thrills and spills as the ducks race to glory alongside a great range of entertainment for all. 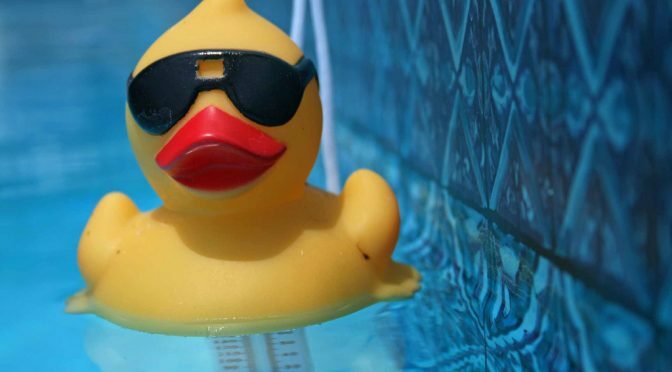 Join us from midday on Sunday 7th May at Riverside Walk and Library Car Park to race ducks to raise money for the Friends of Storrington School. 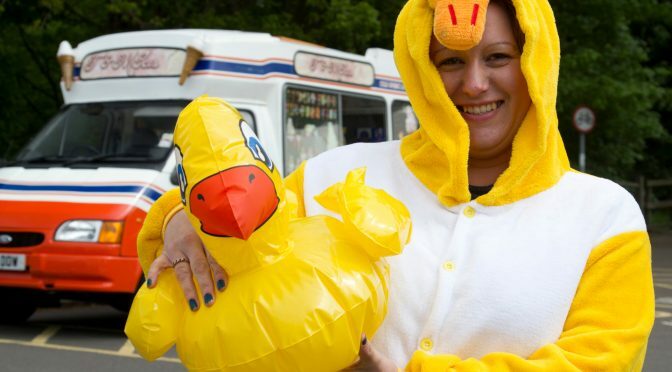 Ducks for each race can be bought in advance in the weeks leading up to the big day, or on the day itself from the many volunteers in the village. Prizes are on offer for each of the heats with Cash prizes available for the winning ducks in the Grand Finale. To add to the fun, there will be fun-fair rides and face-painting, craft stalls, live music, ice-cream and cakes plus the ever popular BBQ. Please waddle down to join in the fun, we look forward to seeing you there!